Preheat oven to 350. Lightly spray a muffin tin with nonstick cooking spray. Whisk together the oil, sugar, butter, and vanilla until smooth and creamy looking. Whisk in the milk. In a separate bowl, mix together the flour, baking powder, baking soda, cocoa powder, and pudding mix. Add the dry ingredients to the wet mixture and gently stir until a lumpy batter forms (be careful to not over mix). 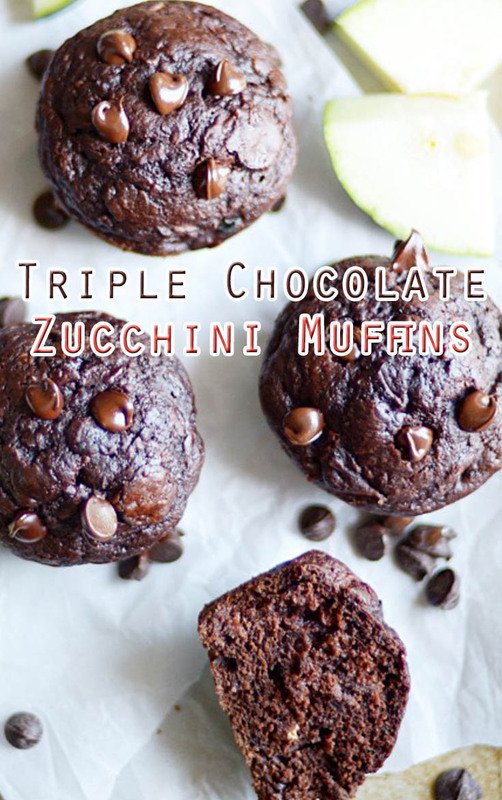 Fold in the zucchini and the chocolate chips. Scoop 1/4 cup batter into each muffin cup. Bake for 18-20 minutes, until a toothpick inserted comes out clean. Let cool before serving or storing.